« Welcome to the Sock Hop! It’s Be-Bop-A Blog Hop WEDNESDAY, Daddy-O for November 2nd! I don't like to admit my vanity, but I have a feeling that I probably spend too much time in front of the mirror. Once I'm done washing my face, applying toner and a myriad of other facial creams and sunscreen, it's time to hit the makeup. After this is done, I still have to style my hair and then decide which accessories I'm going to wear. All of this womanly preparation equals a lot of time spent in the bathroom and a pair of tired, aching feet from standing on our hard tile floor. Now most people might say, "Well, why don't you try eliminating a few steps from your beauty regimen and spending less time in front of the mirror?" 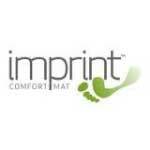 MY solution...Get an Imprint Comfort Mats Anti-Fatigue Mat instead! Their multi-layer cushioning system is proven to significantly improve comfort and overall tiredness when compared to standing on the floor. 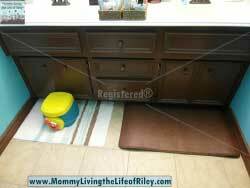 I recently had the chance to review the 20" x 36" Anti-Fatigue Mat in Cobblestone Toffee Brown. Keep reading to learn more! 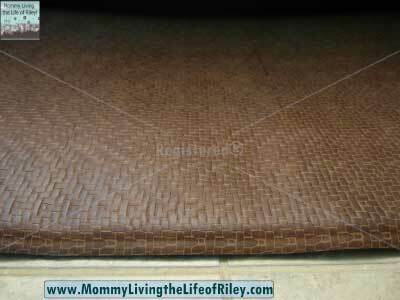 I reviewed the 20" x 36" Anti-Fatigue Comfort Mat in Cobblestone Toffee Brown from Imprint Comfort Mats, which retails for $99.99, but is currently on sale for $59.99. Imprint anti-fatigue comfort mats are manufactured using their proprietary eco9 technology that is environmentally-friendly, non-toxic and is manufactured without the use of toxic, heavy metals. The proprietary eco9 manufacturing process incorporates a multi-layer cushioning system consisting of a soft upper layer and firm lower layer that provide excellent anti-fatigue cushioning benefits and are proven to significantly improve comfort and overall tiredness when compared to standing on the floor. A recent study with a major University School of Ergonomics has proven the Imprint Anti-Fatigue comfort mats benefits. 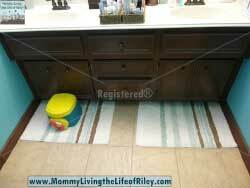 Their mats were "shown to significantly reduce pain and lessen discomfort" when compared to standing on a hard surface. Study participants saw a reduction of overall fatigue by 56% and discomfort by 60%. Just look at the proven testing results by body part that highlights the specific areas of fatigue reduction, shown above. Imprint Comfort Mats Anti-Fatigue Mats are made with such quality and superior design that your feet and back will be screaming , "Thank You!" If you stand in one place on a hard floor for an extended period of time, then I think an Imprint Comfort Mat is a must. Disclosure: I received the 20" x 36" Anti-Fatigue Mat in Cobblestone Toffee Brown from Imprint Comfort Mats in order to facilitate my review. No other compensation was received. This product review is based on my own personal experiences with this item and is completely honest and objective.